Every issue of Au Science Magazine is published in print and online and is free to access. Get your digital copy online today — and if you see a printed copy while out and about then don’t be afraid to give it a home too! You can read Au Science Magazine online or download the PDF version for offline access on any compatible device — e-reader, tablet, smart-phone, laptop or desktop computer. 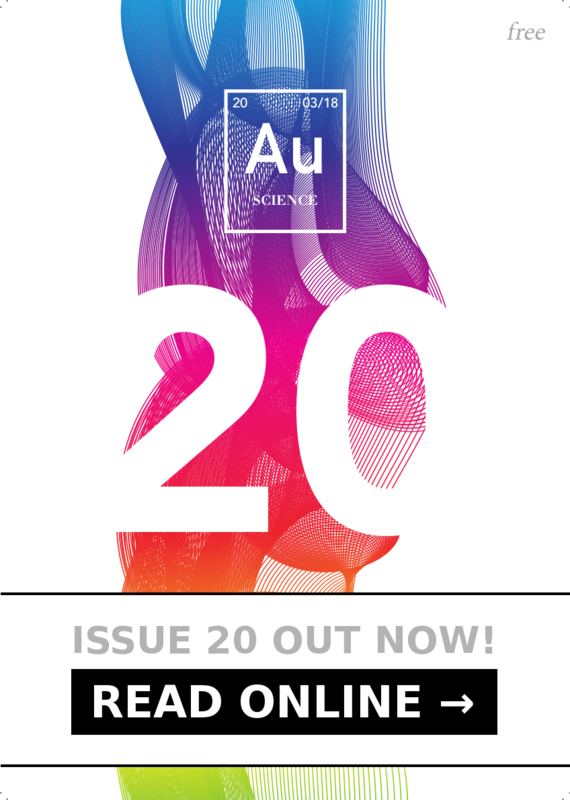 Select an issue below to read or download Au Science Magazine, or follow us on Issuu at Issuu.com/AuScienceMag. Latest issue — available online now! If you can’t find one, or don’t live locally, then get in touch to see if we can help you out.